My good friend Hiroshi and our friends over at 麺Bars' and 麺's Club published a new digital magazine that features yours truly in the lead article. It's all in Japanese, so my apologies if you can't read it. Regardless, I hope you can take the time to flip through it and forward it on to your friends. Hiroshi did an awesome job! 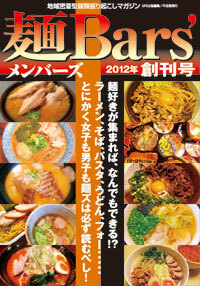 There's also a feature on making Jiro-style ramen too. And if you live in Tokyo, don't forget to check out the shops featured as well. You won't be disappointed with any of them. Thanks Hiroshi!!!! Go Ramen 4 Life! !